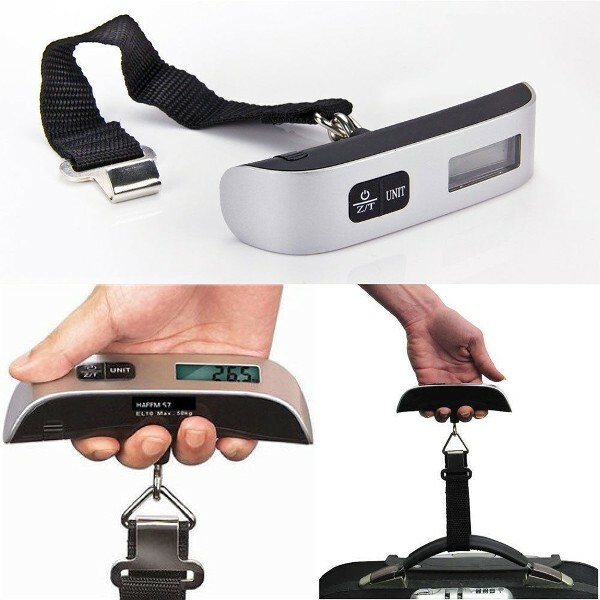 50kg travel luggage scale with strong metal hooks. Before you start weighing precaution, easily avoid airport excess baggage charges. Accurate and easy to read digital display. Low power hint, overload protection. Power : 1 x 3V lithium cell(CR2032) (Included).